I am not going to lie to you, I have given weeks of deep thought about whether or not to show these shoes on Shoeniverse, because although as you know I am a HUGE fan of Giuseppe Zanotti shoes, these are a little 'out there' compared to the ones we normally blog about. However, after serious consideration, I think it would be wrong for me to discount them, and if nothing else the iconic shape and extreme spikes need to be featured just so we can perhaps look back in 5 years time and wonder 'What were we thinking?'. Despite the fact that I am fairly certain I would do that, I also really quite like them... 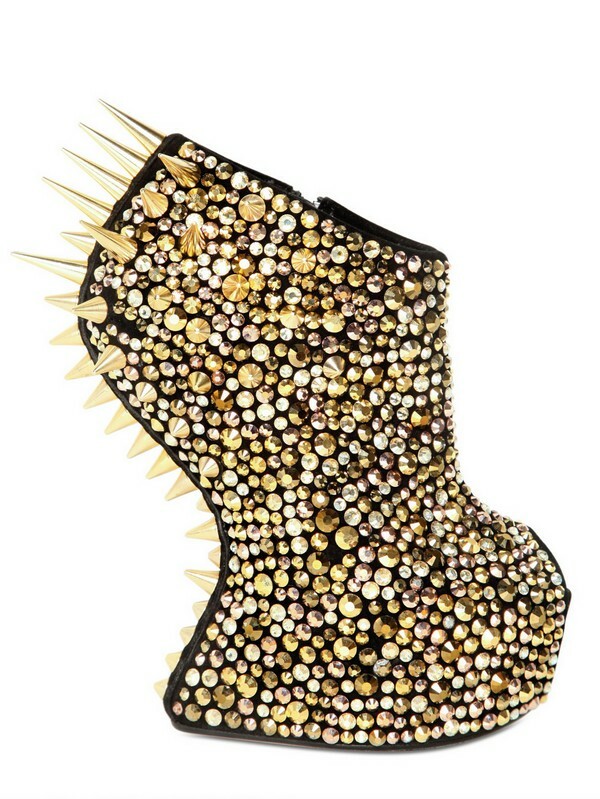 They are the very epitome of the word 'fierce' in shoe form. You see the thing is, I do find them really pretty. 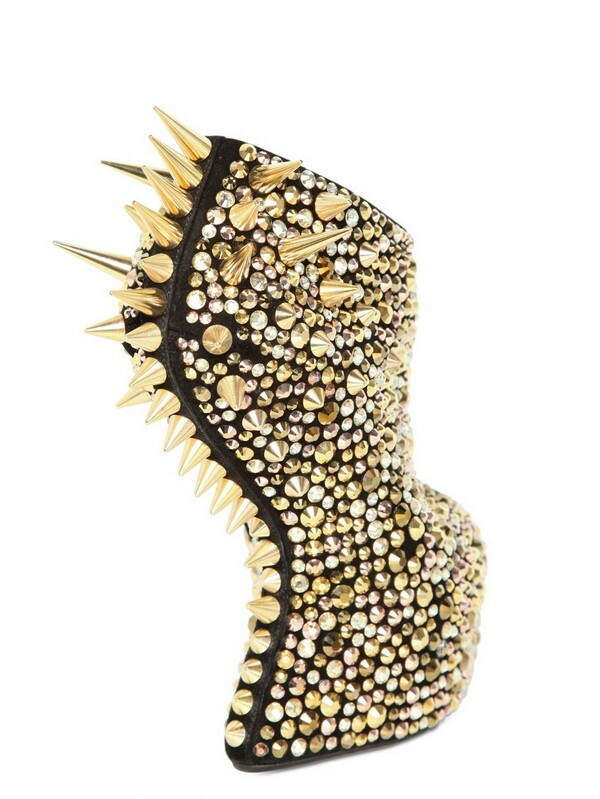 I adore the shape (of course) and the run of spikes at the back, but really it's the sheer excess of mini studs and spikes all over in a myriad of metallic tones that does it for me. They are extreme jewellery for the feet. Would you dare to wear them? If so, what would you wear them with?